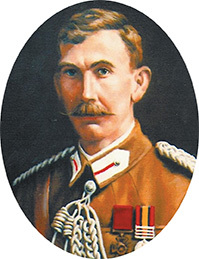 Maygars Hill, the site of the vineyard, was named after Lt Col. Maygar who was awarded a Victoria Cross during the Boer War. This 20 acre property was acquired by Jenny Houghton in 1994, for its viticulture potential and as a location for her bed and breakfast cottage. Three acres was hand planted in 1997 into a light sandy loam. It is ideally situated in the Strathbogie Wine Region right on the border with the Goulburn Valley. Maygars Hill has been awarded in Gourmet Traveller WINE’s annual Cellar Door Awards. You’ll find the full review of our cellar door, plus plenty more, in the new look April/May issue of Gourmet Traveller WINE magazine. It’s on sale now and available in all good newsagents. Alternatively, download the digital edition for your iPhone or iPad here (Download). Both varieties were awarded gold medals at the recent Victorian Wines Show. Except for the Shiraz, which won a silver medal at the Great Australian Shiraz Challenge, both 2014 Maygar vintages appear to be equal in quality. Pictured is owner Jenny Houghton with wine critic James Halliday. Great value at $288 per dozen. To honour Lt Col. Maygar and two other VC recipients, Frederick Tubb and Alexander Burton. Jenny Houghton has made a limited vintage commemorating the heroes, with the profits going to the RSL Poppy Apeal. See full article from Stock and Land titled 'Victoria Cross Cluster'. 5 Star rating in James Halliday’s 2014 Wine Companion. 5 Glasses awarded to each and no price rise! On the 15th of April 2014 the best Cabernet Sauvignon vintage in ages was pressed to become The Beersheba.